Rated Bagger Output Maximum Upto 150 packs per min. 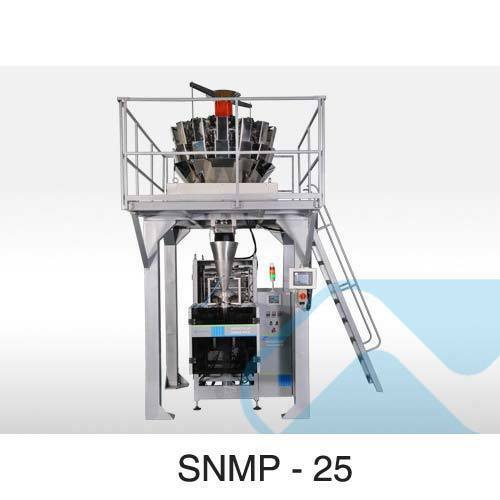 Nichrome is a leading snacks machine manufacturer for the snack industry. A speedy solution for the snack market, Snack Pack is a food packaging machine designed for quick and easy tool-less changeover of size parts resulting in minimum product falling height. Its perforation system makes it possible to produce chain of pouches. Its unique stripping action before cross sealing avoids product entrapping in seal.